If you spend any time on Facebook or Twitter, you’re bound to have seen someone joke about how much time they waste on the internet watching cat videos. While it’s true that many people do while away hours watching cat videos, there are other animals vying for attention on the internet as well. 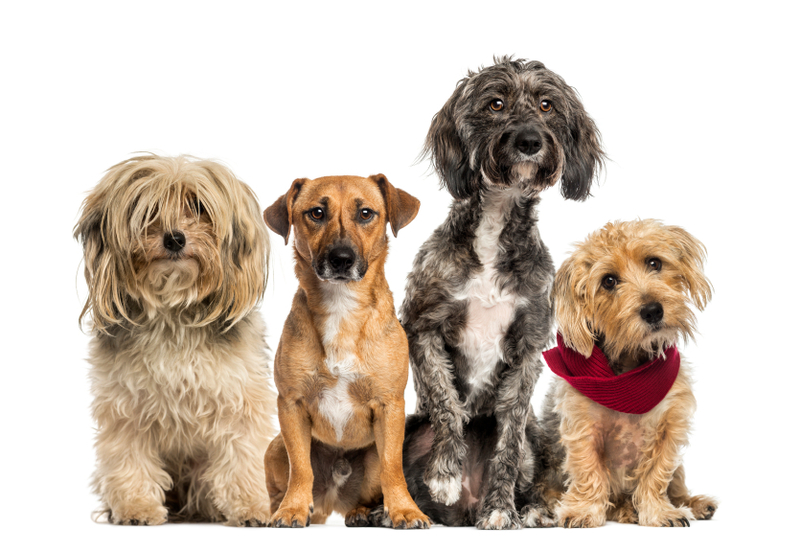 Photos, blogs, and videos are all mediums for these social media stars who just so happen to also be household pets. Let’s take a look at some of the biggest stars on social media today. 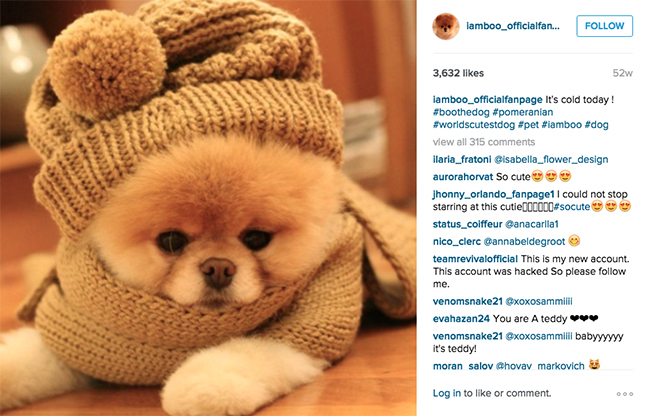 Boo, known around the world as the ‘World’s Cutest Dog’ is a Pomeranian who lives in San Francisco. His fluffy and smiley face has been the subject of four different photo books, and he has over 17 million followers tracking his every move on Facebook. 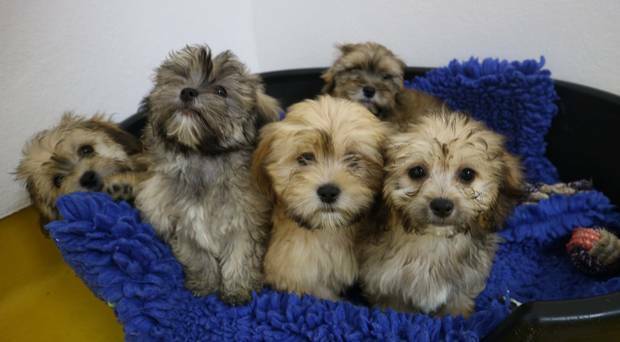 Boo is also the official pet of Virgin Airlines, and singer Ke$ha once even referred to the little fluffball as her boyfriend. As his bio says, he’s a dog, and life is good. Sockington is a loveable cat who shares his thoughts on exciting experiences such as yarn balls in the kitchen and his hope that a tuna truck tips over nearby. He lives in Boston with his owner, Jason Scott, who found Sockington on the side of the road and turned him into the star he is today. 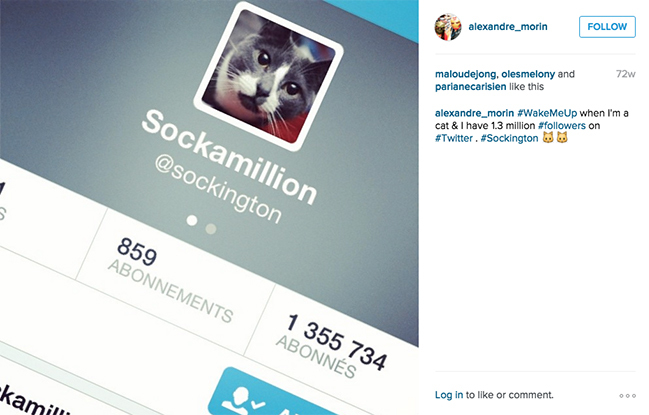 With 1.3 million followers, it’s fair to say that Sockington is a cat on the rise. 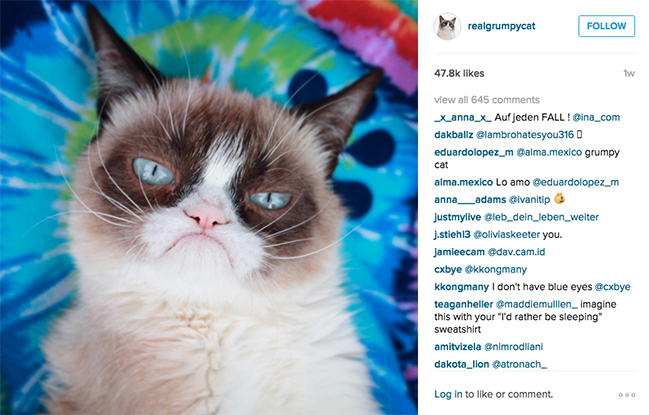 Grumpy Cat, whose real name is Tardar Sauce, just might be the most famous cat in the world. Her underbite and feline dwarfism causes her to have a permanent grumpy expression, which has been meme fodder for several years now. Grumpy Cat has become her own franchise, with book, TV, and even movie deals in the works. She’s hobnobbed with celebrities and causes lineups around the block just to get a picture with her! To date, Grumpy Cat has earned her owners an estimated $100 million. Now there’s a celebrity cat. Snoopybabe is a cat whose face looks like it was smooshed in a pie plate. He lives in China and is a half Persian half American exotic shorthair. 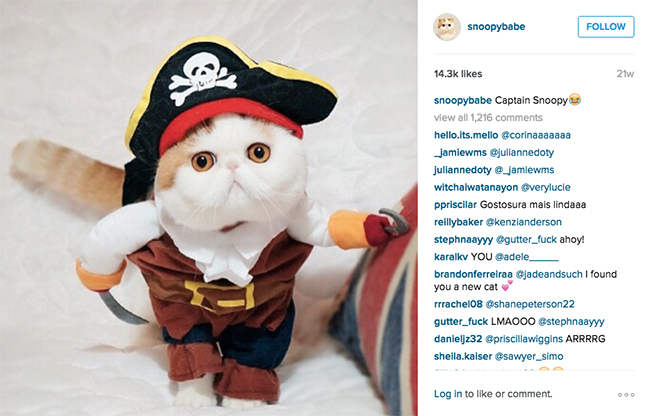 Snoopybabe has 300,000 followers on the Chinese social media site Weibo, and another 200,000 on Instagram, and he just may be the cutest cat in the world. 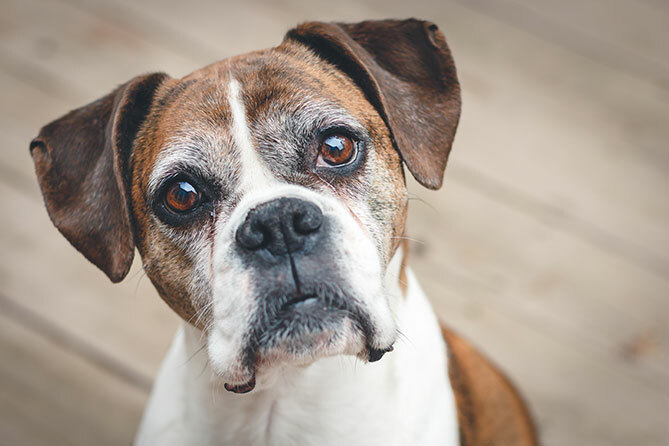 He has monstrous, droopy brown eyes that give him a permanent look of youthful innocence. Followers love the costumes and props that his owners photograph him with. 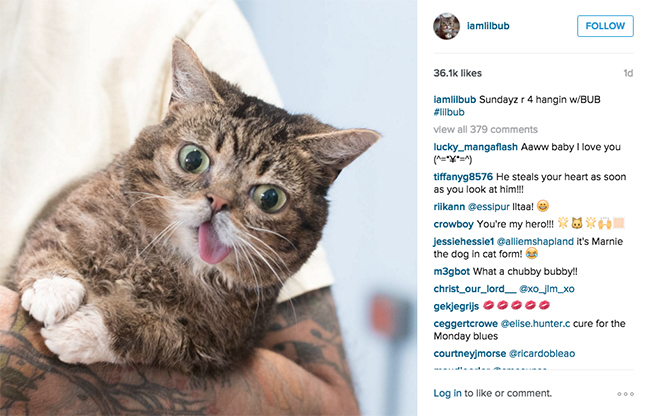 Lil Bub was the runt of the litter and has a permanently protruding tongue amongst other abnormalities. That’s what made her so difficult to adopt. Luckily, owner Mike Bridavsky was convinced to take her in. Lil Bub has a host of health and development issues that give her a strange appearance, but it’s this strange look that makes her so adorable! Her trademark tongue sticks out because of her lack of teeth and short lower jaw. She’s even starred in her own movie, Lil Bub and Friendz, which won the Tribeca Online Film Festival in 2012. 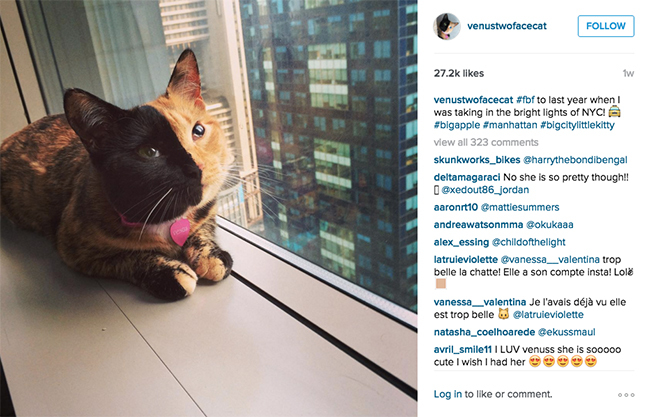 Venus is known as the cat with two faces. Her face is symmetrically divided between totally black and orange tabby, making her look like a masked comic book villain. No one can pinpoint what type of DNA mix got her this way, but her 600,000 Instagram fans delight not just in her looks but also in her antics! 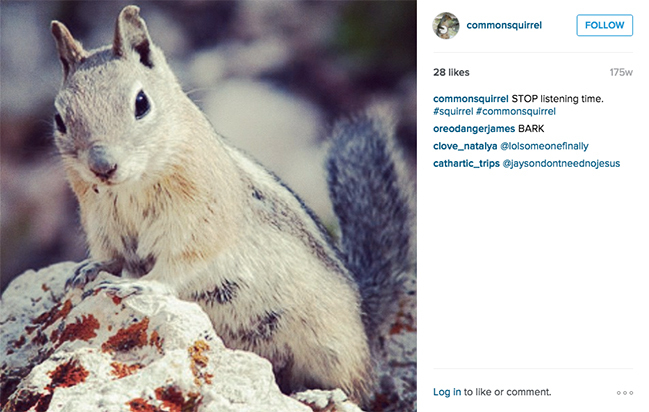 Common Squirrel has almost 100,000 followers on Twitter. He keeps followers up to date on what he’s doing throughout his day, which includes statuses like “dig dig dig dig dig” and “blink blink”. We’re still not sure where he finds time to tweet, though, he seems awfully busy most days. Keyboard Cat, whose real name is Fatso, passed away in 1987. His legacy lives on, however, in a video his owner made in 1984 in which he was manipulated to look like he was playing a keyboard. The owner, Charles Schmidt, uploaded the video in 2007 and it became the inspiration for thousands of internet Youtube memes. 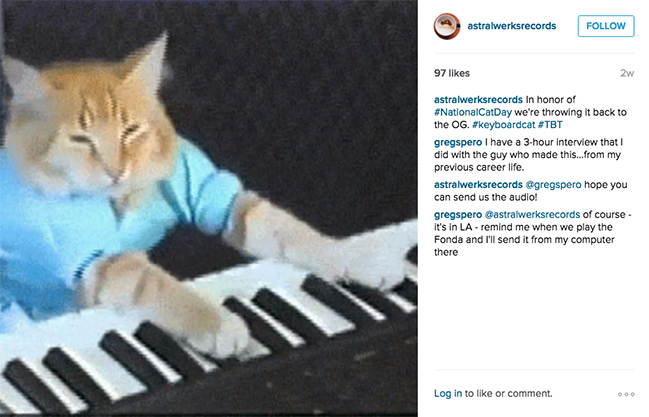 A running joke became having Keyboard Cat ‘play it off’ after a blooper or broadcasting mistake. Keyboard Cat has since appeared on talk shows, video games, TV, and in major movies. The Keyboard Cat footage has even been remixed to make it seem as though he’s performed ‘duets’ with the likes of Hall and Oates. 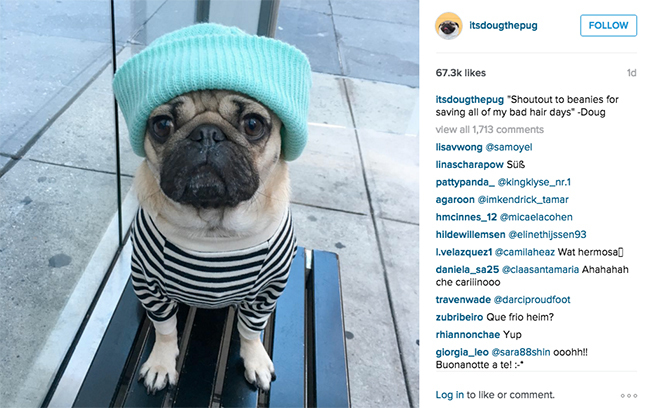 At just three years old Doug is the most followed pug on the internet, with over 2 million fans on Facebook and over a million on Instagram. This cheeky pug loves attending music festivals, and as a dog celebrity has a few celebrity friends of his own! He’s been seen hanging out with everyone from Justin Bieber to Ed Sheeran. No wonder his Instagram refers to him as the King of Pop Culture! From the cute to the funny and bizarre, there’s no shortage of animal social media stars out there. There’s a very good chance that you follow at least one of them on Facebook or Instagram. 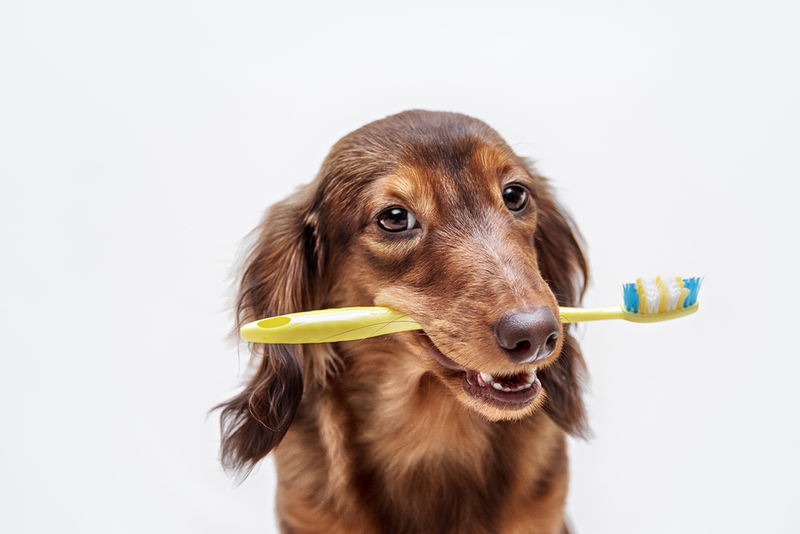 What good would the internet be, anyway, if it didn’t provide us with our daily dose of adorable cats and dogs?